The sudden realization of what was happening was both terrifying and totally absurd. Concord Police Lieutenant Paul Gagnon (left) and Sergeant Glenn “Sam” Wasp (right) with suspect Todd Bonenfant in the Concord Monitor parking lot in April 1998. Originally conceived for the stage, this story was first told by a Boston Globe journalist as part of the Globe Live event at the Paramount Center in Boston in November. THIS IS A REALLY DISQUIETING TIME to be a journalist. The president calls us enemies of the people. Five staffers at a Maryland newspaper were gunned down in June. A pipe bomb was recently mailed to CNN. A journalist critical of the Saudi regime was brutally killed because of his words. And at The Boston Globe, a “Free Press” campaign orchestrated by the editorial board brought a wave of threats and harassment against our newsroom. I even received one on my cellphone. Much of the time, it’s easy to compartmentalize. We do our work without dwelling much on the anger or the risks inherent to our unusually public jobs. But in recent months, I’ve been thinking a lot about my own long-ago brush with peril in the newsroom. Back in 1998, I was the city editor for the Concord Monitor, a small newspaper in Concord, New Hampshire. Our offices were out in the boondocks. The main entrance was staffed by a taciturn former nun in her 70s named Alma, and the side entrance had no security whatsoever during the day. One day in April, an agitated, disheveled young man named Todd Bonenfant found his way to that side entrance. He stormed up to the second-floor newsroom and demanded to talk to a journalist about a story. A colleague pointed him straight to me. Thanks, pal! Now, it wasn’t unusual for strangers to stop by the newspaper unannounced, including gadflies, conspiracy theorists, political gossips, hangers-on, and fringe candidates running for president. Sometimes they were all of the above. (This was New Hampshire, remember.) But this guy was loud, distraught, and making a scene. His angry words were so garbled, his eyes so bloodshot, I felt certain he was on drugs. My impulse was simply to calm him down. Who knows — maybe he did have a story for us. I grabbed a young police reporter named Carrie Sturrock and suggested the three of us sit and chat in a private office. If Todd had a coherent story to tell, it wasn’t clear. What we pieced together was this: He was an ex-con who had served time on burglary, drug, and weapons charges and had violated the terms of his parole. He assumed it was only a matter of time before the cops hauled him back to prison. Perhaps they were already in pursuit. They would not, he assured us with grim bravado, take him alive. I have a lot in common with the woman who cleans our offices, but while I just became a US citizen, her status is precarious. 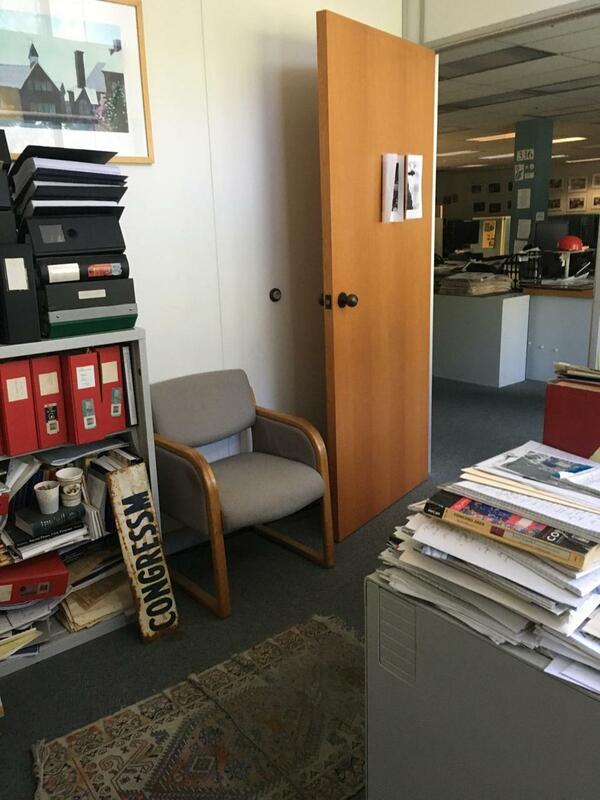 The Concord Monitor office where Todd Bonenfant told Felice Belman and Carrie Sturrock his story. The thought occurred to me: If all you’re planning is suicide, do you really need two guns? And do you need to do it in a room full of innocent people? The sudden realization of what might actually happen — to me, to all of us — was both terrifying and totally absurd. Deadly mayhem in the newsroom for no reason at all? Even as we were sitting right there, it seemed far-fetched, yet paralyzing. Simultaneously, Carrie and I decided to coo sympathetic nonsense at him, almost like you might talk to a toddler mid-tantrum. Your childhood sounds terrible, Todd. You don’t deserve what’s happened to you. How can we help you? What he wanted, he said, was to use the phone to call his ex-girlfriend. This was our chance. I quickly handed him the phone. Carrie said she would go get him a soda. Brilliant, I thought. Now I was alone with the gunman. I suggested I would step out, too, to give him some privacy. He told me to stay put. But I was already out the door. I sped down the stairs and left the building. Carrie, meanwhile, had dutifully bought Todd a soda from the vending machine and was actually coming back to deliver it. “What are you doing?” someone asked her. “I’m getting a Coke for the gunman,” Carrie said. She was then hustled out with everyone else, Coke still in hand. Outside, my colleagues were huddled in small groups. Todd was still in the newsroom. By this point he’d put one of the guns to his head, listening on the phone while his parole officer urged him to surrender. When he finally did, police entered the building, seized the guns, and hauled him out. When I tell this tale at parties, it usually ends there. But that’s not the whole story. After Todd was back behind bars, I assigned some reporters to write the most thorough story they could about him. We learned that he had been distraught about his girlfriend’s unexpected pregnancy and their breakup. He had threatened to kill his father, his ex-girlfriend, and then himself. There was also some truth to the awful tales he’d told us. His father had been a suspect in the long-unsolved murder of a young girl in their hometown of Franklin, New Hampshire, 20 years earlier, according to a law enforcement source. The state never had the evidence to charge him, but I assumed the suspicion cast a pall over the family and imagined that Todd had grown up a pariah. It was suddenly easier to understand how he’d ended up in a life of drugs and crime. I came to feel sorry for him, despite the danger he’d put us in. Detective Todd Flanagan picks up a .357 Magnum handgun, which lies next to a .380 semiautomatic handgun in the Monitor’s newsroom. In the months and years following the newsroom drama, I kept tabs on Todd’s whereabouts, eager to know when he was in jail and when he was out. I was eager to keep my distance, though. After all, I was the one who’d called the cops on him that day. But New Hampshire is a very small place. The people you try hardest to avoid are often exactly the people you run into. One September afternoon, I went to the Hopkinton State Fair, a wonderful, old-fashioned event that’s just as you might imagine it: fried dough, prize-winning llamas, demolition derby. Todd was part of a work crew, setting up or breaking down the fair. With a jolt of panic, I recognized him immediately. I don’t know if he recognized me. But there we were, standing across the midway from each other, twisted up in each other’s orbits once more. Years later, long after I stopped having nightmares, the story took another strange turn. The state concluded that Todd’s father wasn’t the killer after all. If his father’s presumed guilt had, in fact, wrecked Todd’s life, it was all for naught. And then, five years after Todd Bonenfant burst into our lives, I was startled, sad, and, honestly, a bit relieved to find his name in the morning paper again, this time in the obituaries. At the age of 30, he’d died “suddenly,” as they say when the deceased is young. Whatever bad things he’d done, Todd had been dealt a terrible hand that he never managed to overcome. These are the kinds of stories journalists try to bring to light every day. Despite the real danger he put me in, I cannot say I consider Todd Bonenfant an enemy of the people. And I don’t consider myself one, either. 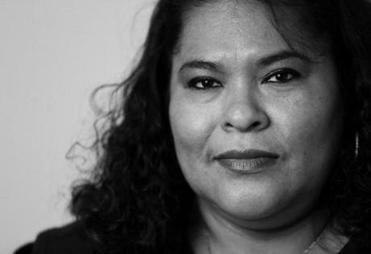 Felice Belman is deputy managing editor for local news and features at the Globe. Send comments to magazine@globe.com. To find out about upcoming Globe events, sign up for the events newsletter by visiting globe.com/events.